With better quality products, improved supply chains and rising demand, Chinese and Asian corporations are increasingly making their way onto the global corporate stage. But they are unlikely to become true international players if they do not focus on getting their brand strategy right. Branding is a strategic key for Chinese companies aspiring to become well-known retail leaders. 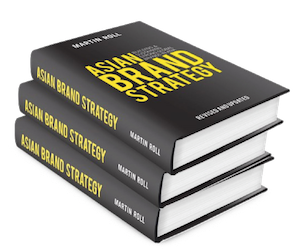 All the surveys that are done on branding show that Asia probably have managed to build 10 recognised global brands – most of them are Japanese and South Korean, with a few from the rest of Asia. The problem is cultural and that many Asian corporations are locked into a corporate structure that is still family run and where branding is simply seen as an extension of advertising. But the status quo may be slowly shifting. Chinese companies still have a long way to go to build their brands globally. It requires a totally new mind-set. Chinese business leaders need to learn what it means to build something like a brand, which is much more than a slick logo. Chinese business leaders need to elevate branding to the boardroom level and engage a chief marketing officer – to put marketing at the forefront of business strategy. Business leaders in China must also benchmark global practices. Chinese companies need to research the most successful peers in their own industry and study what is being done in other industries. There is a common belief – and it is often stated – that the track for Chinese firms will be very different than any other country from Asia but that is not the case. It is a fallacy to believe that China will globalize in a different way. Many others have done it before them so China has to learn from the world when it comes to best practices in brand-building. Global Chinese brands will not happen by chance. It will only happen through a thoroughly planned strategy executed relentlessly over a long time. Samsung Group, the South Korean electronics giant, is one of the best examples of an Asian brand that has taken the globalization strategy seriously. It started early to focus on its brands as a key strategic initiative in late 90’ties when the family-owner and chairman Lee Kun-Hee decided to build a global Samsung brand. Only now, after 10 to 15 years, is it starting to pay off. Another example is Singapore Airlines which is a brilliant example of a global brand that has set standards for more than 40 years in a very competitive category. There are many Asian corporations that could quite easily take their place in the global league and sit alongside the likes of the Coca-Cola Co or even Apple. Before that can happen, Asian companies must accept branding for what it is, rather than relegate it to the marketing department. The new change-makers in Asia are the second- and third-generation family owners who for the first time are daring to question the existing business models. It is natural for younger generations to want to move away from the traditional Asian manufacturing and trading paradigm into an era of brands and trademarks. They typically have overseas experience from other industries or consulting, and they bring that mind-set back to Asian boardrooms. A recent report by the McKinsey Global Institute: “Urban World: The Shifting Global Business Landscape” forecasts that by 2025, there will be some 7,000 new global corporations with revenues in excess of $1 billion. A large number of them will be from China and Asia. By 2025, some of the global leaders in many industries may be companies the world has not heard of yet. Many of them are likely to be based in new cities that the world is not yet aware of. The proliferation of large companies is likely to usher in an era of heightened corporate competition for markets, resources and talent. The big questions, however, will rest on the leaders’ ability to brand themselves and be aggressive in their branding. There are enough success stories in the region, however, to prove that it can be done by Asian companies.